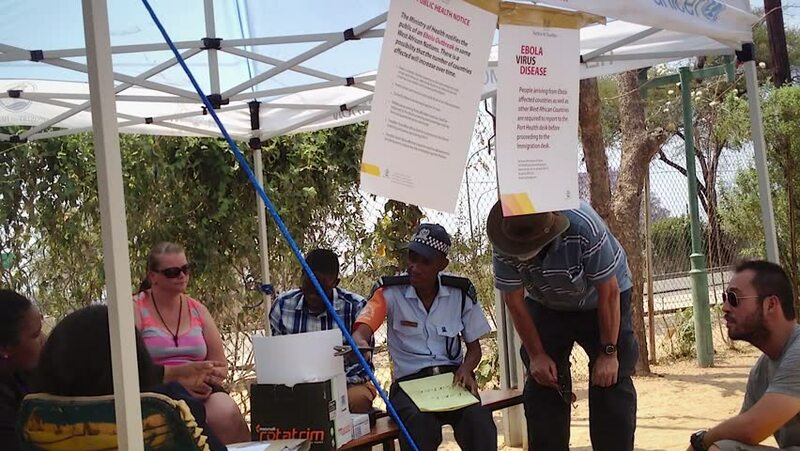 KASANE, BOTSWANA - CIRCA SEPTEMBER 2014 - UNICEF volunteers setup Ebola virus screenings at border crossing between Zimbabwe and Botswana on Sept 12, 2014 in Africa. All visitors are questioned. hd00:12Denver, Colorado, USA-August 20, 2016. Farmers market at fron of the Union Station. 4k00:19SINGAPORE CITY/SINGAPORE - JANUARY 12, 2015: Unidentified people walk across busy road at Raffles Quay. People of Chinese extraction form 74.2% of the population. 4k00:09BELGRADE, SERBIA - circa April 2018: Musicians with straw hats in the oldest and traditional street Skadarlija in Belgrade. Skadarlija is famous of its old resturants and cheerful music.